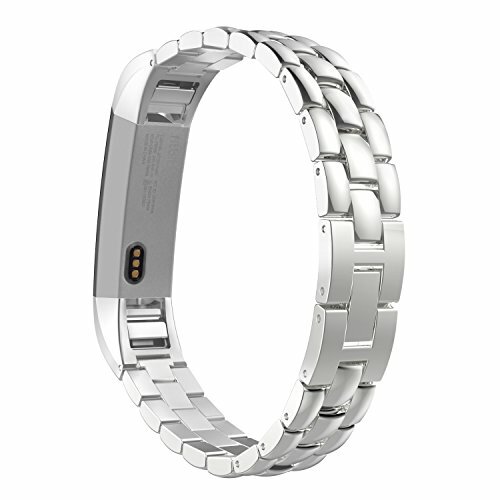 Custom designed for your precious Fitbit Alta / Fitbit Alta HR Smart Fitness Tracker, this MoKo Noble Stainless Steel Fitbit Alta / Fitbit Alta HR Band features a combination of functionality and style. * Fits 6.1"-8.07" (155mm-205mm) wrist. Come with one removal tool, one needle and one spring pin for adjusting the length of band. Fits 6.1"-8.07" (155mm-205mm) wrist. Come with one removal tool, one needle and one spring pin for adjusting the length of band.